Welcome to the homepage for the Western States Climbers (WSC). We maintain a list of notable peaks to climb within a day's drive of the cities of Northern California and Western Nevada. This "WSC Peak List" covers a variety of mountain ranges throughout California, including the Sierra Nevada, the Great Basin (high desert), and Southern Oregon (Cascades). While we now have limited coverage in the Western States, the list could be expanded to other areas if knowledgeable climbers identify an appropriate set of worthy peaks to climb elsewhere within the west. 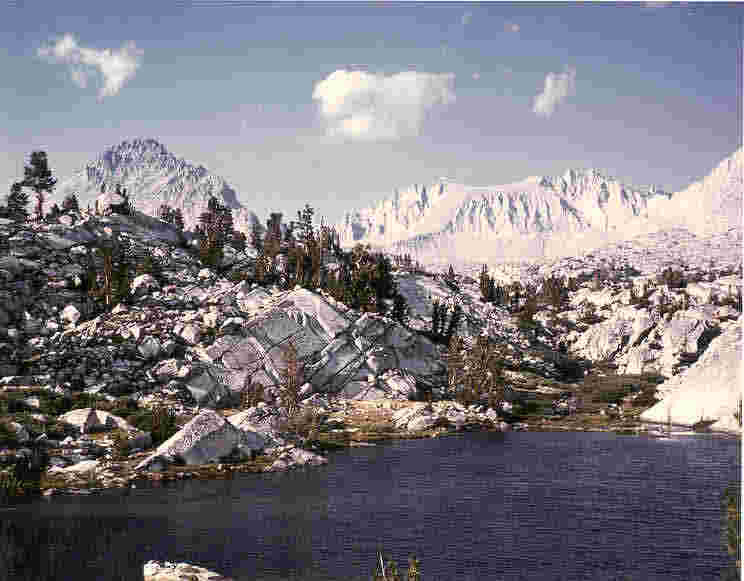 In addition to the WSC Peak List, we keep copies of three other, more specialized lists, which cover; Lake Tahoe area peaks (OGUL), California Coastal Range peaks, and northern Sierra Nevada gorge scrambles (SGS). These three lists are no longer maintained by any group, as discussed under "History" below, but they still offer a worthy set of objectives for those seeking adventure, solitude, and the opportunity to explore some of the most interesting and spectacular areas in the northern Sierra Nevada and California's Coastal Ranges. Climbing peaks on these lists will involve moderate to very strenuous hiking, and a few climbs require specialized skills such as rock climbing. Gorge scrambling requires a related set of specialized skills such as hot weather hiking and swimming. These activities can be dangerous, and help may not be available in the remote areas where they take place. Hence, the novice adventurer should avoid pursuing the more remote and difficult objectives without guidance from more experienced climbers. Many fine courses are available which can provide applicable training, and several organizations sponsor trips led by experienced climbers. To explore, enjoy, and protect the mountains of California, the Great Basin, and Southern Oregon. There are currently no criteria for membership. Those who wish to discuss the formation and management of this new group, especially the WSC peak list and awarding recognition for climbing peaks on the list, should conact the WSC Executive Committee. The Western States Climbers is an independent group which communicates on the internet. The WSC is not a part of, or affiliated with, any other club or organization. In the 1970s, a group of hikers and climbers in Northern California put together a list of notable and worthy peaks to climb within a day's drive of Sacramento. 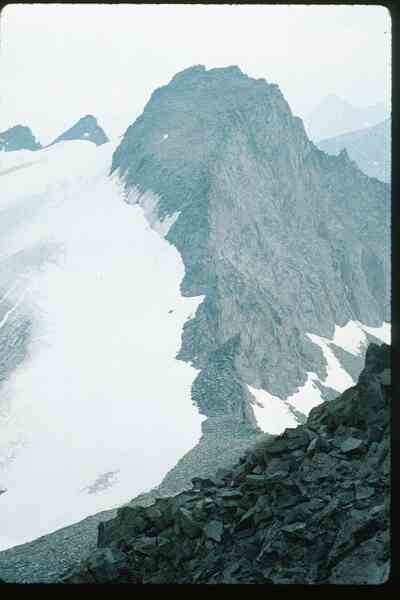 They called themselves the Northern Alpine Section (NAS), and they called this list the NAS Peak List. Sierra Club, Mother Lode Chapter. About a decade later, a few members of the group put together a more limited list of notable and worthy peaks in the area around Lake Tahoe, all which could be done as day hikes from their base in Sacramento. They called this list the Tahoe OGUL List, which is the Washoe Indian Tribe's name for the Mountain Sheep who once roamed the mountains in the Lake Tahoe area. This list was somewhat more successful, in that a number of members of the group completed the list by reaching the summit of every peak on it. After another decade, the group published a list of peaks to climb in the California Coastal Ranges. However, this California Coastal Peak List was never approved by their membership at large, due to concerns that some of these peaks were on private land. Unfortunately, membership of the Peak and Gorge Section declined over the years. When several core members moved out of the area, interest in these activities faded to the point that its members voted to disband this section in 1998. The Mother Lode Chapter consequently relegated the Peak and Gorge Section to "Inactive Status". About the same time, Peak and Gorge member John Sarna, in coordination with other members of the Section, designed a set of webpages with the NAS, SGS, Ogul, and Coastal Peak Lists, along with the Section's recognition lists, and published them on a private internet server to make them, to the extent possible, generally available to the public. 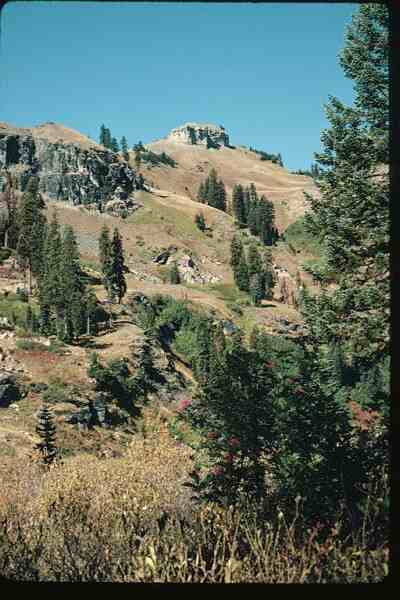 The Western States Climbers (WSC) was formed in the year 2000 to continue the tradition and promote the diverse hiking and climbing experiences these peaks offer. The webpages were redesigned and published curtesy of Climber.Org. Note - Neither the webpages nor the WSC itself is still affiliated with the Sierra Club. The Western States Climbers recognize significant accomplishments in reaching objectives on the WSC Peak List by inclusion on the "WSC Internet Recognition List" of Emblem Holders and List Finishers. To obtain a place on this list, you must have climbed a specified number of peaks. Those who qualify can be awarded Emblem Status, Super Emblem Status, and List Completion Status. While the WSC does not maintain the Tahoe Ogul or SGS Gorge List, it will record the names of those who claim to have met the applicable qualifications on the WSC Internet Recognition List. Previously, a patch was awarded, at cost, to those who achieved emblem status on the WSC Peak List and the SGS Gorge List, and an OGUL T-Shirt was awarded, at cost, to those who have achieved emblem status on the Tahoe OGUL Peak List. However, these awards are no longer available. The process for obtaining recognition is specified under "process" on the WSC Internet Recognition List of Emblem Holders and List Finishers. WSC Peak List Emblem Status. WSC Peak List Super Emblem Status. OGUL Peak List Emblem Status. OGUL Peak List Completion Status. Links to those with similar areas of interest. California Mountaineering Club is a mountaineering club with members throughout California with a full schedule of trips year around, covering the full range of climbing, from multi-day alpine ascents and winter mountaineering to weekend rock climbing and ice climbing outings. The Mazamas Club provides a comprehensive climbing program with allied activities that enhance and protect the participants and the environment. The Mountaineers (Seattle based) is devoted to exploration, enjoyment and conservation of the outdoors and wilderness areas. The Sierra Club's mission statement is to: 1) explore, enjoy, and protect the wild places of the earth; 2) practice and promote the responsible use of the earth's ecosystems and resources; 3) educate and enlist humanity to protect and restore the quality of the natural and human environment; and 4) use all lawful means to carry out these objectives. If you know of any other organizations with similar areas of interest, please send their names, with a URL, if available, to the WSC Executive Committee. Please send any comments on this page to the WSC Executive Committee.